Posts tagged "Abu Dhabi Grand Prix"
Watching an auto race is exhilarating. The elements of speed and danger seem fused together by the power of high-torque engines and the drivers with nerves of steel. 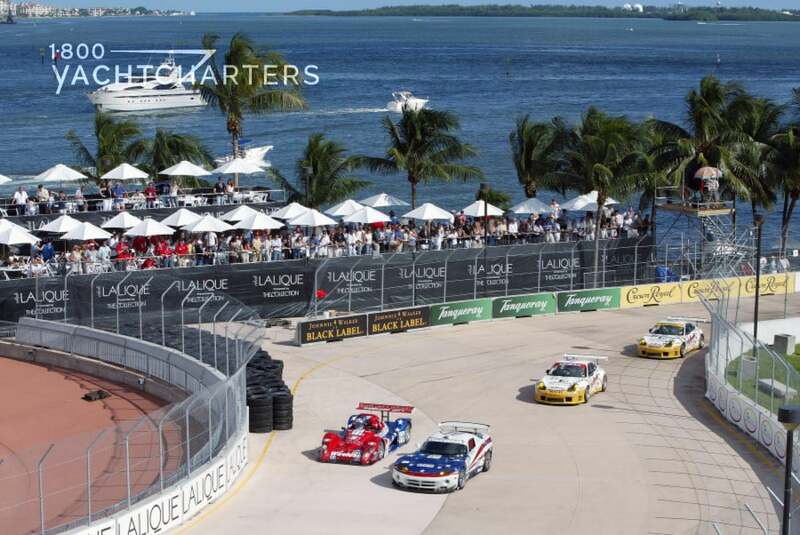 But let’s be honest – sitting in the hot grandstands with thousands of strangers is less than the ideal way to view the glamour, the cars, and the grid girls of a Formula 1 event. Thus, it’s little wonder why the Port Hercule marina in Monaco is filled to capacity in May for the annual running of the Monaco Grand Prix. With the cars zipping by the marina, there’s no doubt the best seat in the house is on a luxury yacht. Unfortunately, the rest of the 2011 Formula 1™ races take place on tracks far removed from the oceanside. That is, all but one other – the 2011 Etihad Airways Abu Dhabi Grand Prix. It’s rare for a Mediterranean yacht charter vessel to make the sojourn to the Middle East, but one superyacht is anxious to secure a reservation for the 2011 Abu Dhabi Grand Prix – motoryacht JANA. The classic 46 meter Feadship is actively seeking a booking for the November 11-13 racing event. 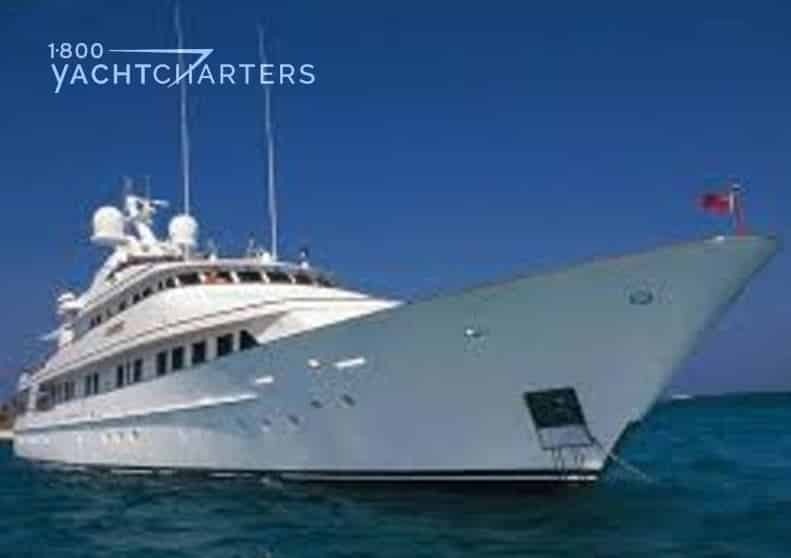 Built in 1986, the yacht has received several refits throughout her charter career, the most recent being in 2009, in which she had the majority of her hull and superstructure repainted and most of her of soft furnishings replaced. The Dutch-built masterpiece accommodates 10 – 12 guests in 5 cabins. 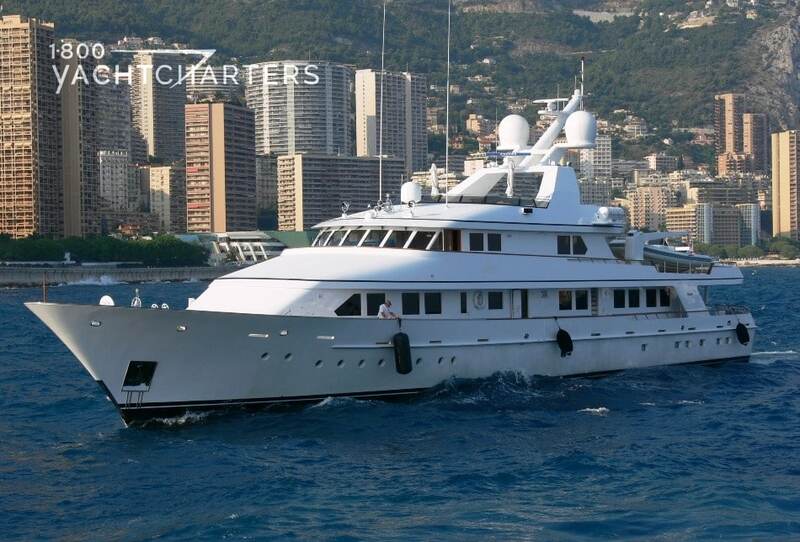 With a large sun deck, motor yacht JANA can easily host race day soirees for 20 to 40 guests. The yacht is available for the Grand Prix at the rate of €100,000 for 5 days, plus running expenses (items such as food, bar, dockage, etc.). Sheeder says her office will assist in securing a premium berth to view the race. The race takes place on the Yas Marina Circuit, located on Yas Island, about 30 minutes from Abu Dhabi, the capital of the United Arab Emirates. Approximately 50,000 spectators can view the action on the circuit from permanent, covered grandstands that protect visitors from the desert sun. Of course, the best viewing areas are the most secure and private – the decks of the yachts in the Yas Marina. The circuit is 5.55 kilometers long, with a total of 21 corners with 9 right turns and 12 left turns. The track features a lot of hairpins and long straights, and there are few potential overtaking places. The pit lane entry is very challenging, as is the exit, which runs underneath the track in a tunnel. The world’s largest indoor theme park, Ferrari World Abu Dhabi, is also located on Yas Island. The park hosts more than 20 rides and attractions. One of the attractions, Formula Rossa, has the same G force one would feel driving in an F1 car and braking at maximum speed. It is the world’s fastest roller coaster, powered through the 2.07 km track at speeds up to 240 km/h, reaching 0-100 km/h in less than two seconds. The idea of a Persian Gulf yacht charter grew a lot more intriguing today. One of the world’s richest sports teams announced plans! The club intends to build on its enormous following. Real Madrid soccer club President Florentino Perez unveiled Real Madrid Resort Island. It is a holiday resort on an artificial island in the United Arab Emirates. The resort is therefore scheduled to open in January 2015. The resort will feature multiple sports facilities, a superyacht marina, luxury hotels, a soccer-themed amusement park, club museum, and a 10,000-seat stadium with one side open to the Persian Gulf. “It is a decisive and strategic step that will strengthen our institution in the Middle East and Asia,” said Perez. Jana Sheeder, President of 1-800 Yacht Charters and SailAway Yacht Charters believes this new resort will strengthen the Middle East’s burgeoning yacht market. “In just three years, we’ve witnessed the Abu Dhabi Yacht Show blossom into a world-class showing of megayachts for sale and charter,” says Sheeder.